The key to the perfect holiday gift is finding that delicate balance between practicality and indulgence, the quintessential ratio of need to desire. The goal is to give something that will be used, but also feels like a luxury. On top of that, the perfect gift should be personal and keep on giving. Cookbooks check all of these boxes. The variety of quality publications ensure that there is a book for every lifestyle and special diet. Even non-foodies can learn from basic cookbooks, or simply enjoy their stunning photography. 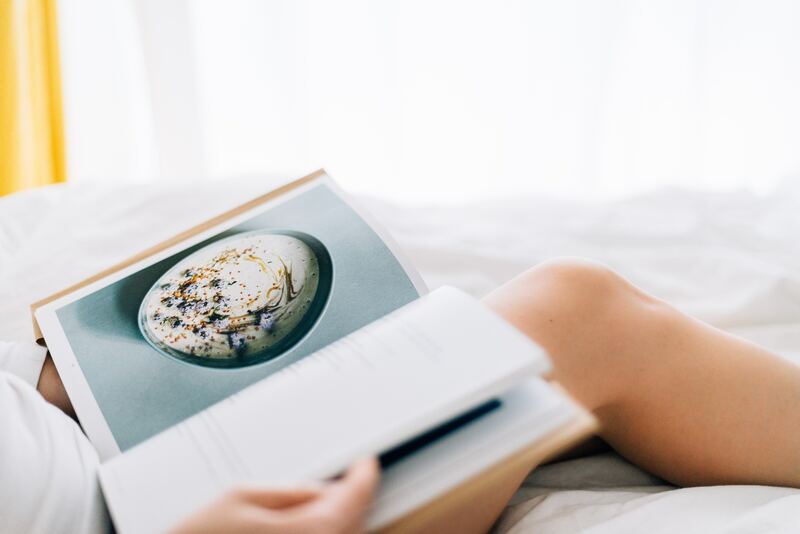 We reviewed the most noteworthy plant-based cookbooks of 2017, as well as a few classics, to provide a comprehensive guide for everyone on your list. 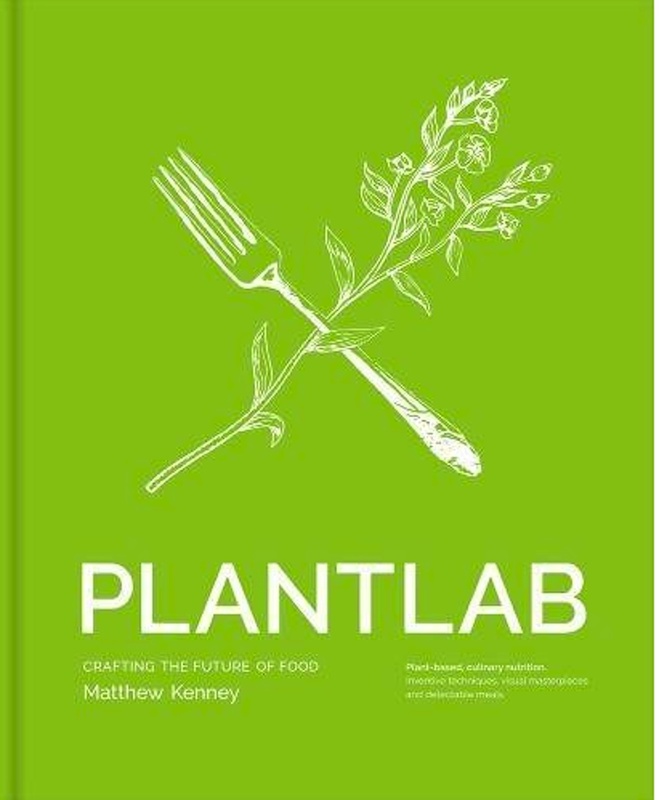 Chef Matthew Kenney’s latest publication, PLANTLAB, fits two demographics: the serious home chef and the photography-lover. It is broken down into four chapters, each increasingly more complex. The book is a compilation of over one hundred recipes, all inspired from Kenney’s various restaurant concepts around the world. Kenney focuses on the highest quality whole food plant-based ingredients and introduces innovate culinary techniques to create truly outstanding, multi-component dishes. We recommend trying the Truffle Pizza, Spicy Udon, Hearts of Palm Ceviche, and Chocolate Orange Tart. In addition, the book itself is a work of art; the recipes are interlaced with gorgeous, full page, glossy photographs. From the exquisitely plated food, to nature shots, to scenes from the kitchen, the images make for a solid coffee table book. For the friend who is always trying the latest adaptogenic herb or superfood, Healing Mushrooms is the perfect gift. 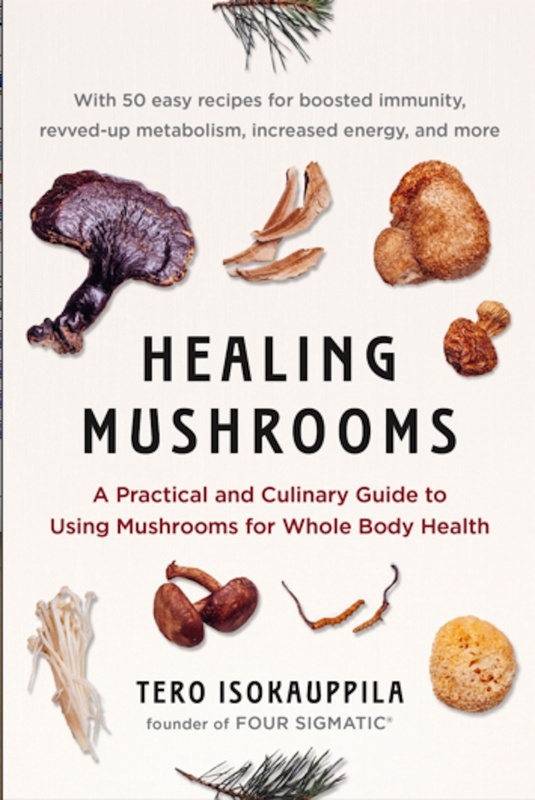 Written by the original “funguy” to make ‘shrooms more mainstream, the book reviews the health benefits of the top ten edible super mushrooms in a fun yet educational voice. The second half includes fifty vegetarian and vegan recipes that rely on these mushroom varieties, sorted into chapters according to specific health benefits. Sure, you could eat to reduce inflammation, increase sports performance, and promote gut health, but our favorite section is “Next Level Desserts.” Hello, Cordyceps Raw Vegan Cheesecake and Chaga Chai! This is “dude food.” Plant-based YouTube personality Candice Hutchings created one hundred and thirty-eight carnivore-approved recipes for those unwilling to swap their comfort classics to buddha bowls and green juice. Think Chive and Sriracha Beer Waffles, Buffalo Cauliflower Wings, Crunchy Taco Wrap Supreme, and “Literally Dying” Skillet Cookie a la Mode. This colorful, tongue-in-cheek guide to veganizing our favorite animal-based guilty pleasures does require some time in the kitchen; you can’t master the ultimate Drunken Fish and Chips without multiple steps and some planning ahead. However, the recipes are manageable and include “hacks” for the less experienced audience. For a simpler, more bro-friendly option, keep reading. As the name implies, this illustrated idiot’s guide to delicious plant-based eating is full of recipes for the culinary-challenged. In fact, it could double as a children’s book, as the ingredient list is reduced to fun doodles, and the simple instructions are contained to a maximum of two basic sentences, if not mere verbs. For the friend that never reads recipes all the way through, hates long ingredient lists, and has no time (or desire) to cook, The Vegan Stoner is perfect. We love the Biscuits and Gravy, Corn Chowder, Tofu Puff Pastry, and Monkey Bread. 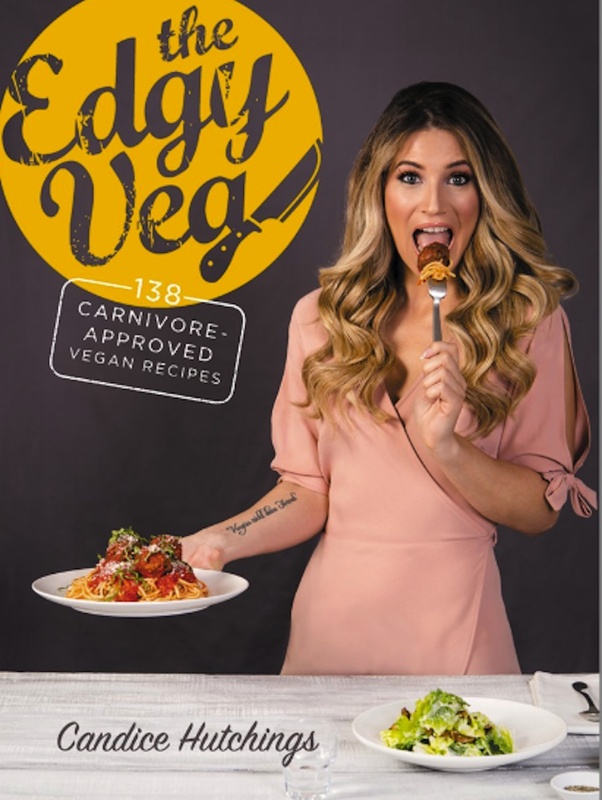 This e-book is the result of a cultural family mashup, a fusion between the families of the vegan social media millennial couple Jasmine Briones (@sweetsimplevegan) and Chris Petrellese (@consciouschris). Briones and Petrellese created plant-based versions of their favorite family dishes, while remaining true to their cultural heritage. Try Petrellese’s Italian Smoky and Spicy Cashew Alfredo Sauce, or Briones’ Filipino Kare Kare (peanut stew). With relatively simple ingredients and basic instructions, this e-book makes a terrific gift for families to get in the kitchen and cook together. We also love the variety and wide appeal to all eaters. Dive right into the Mac & Cheese Quiche, or opt for one of the many gluten and oil free recipes, such as the Chocolate Chip Chickpea Blondies. 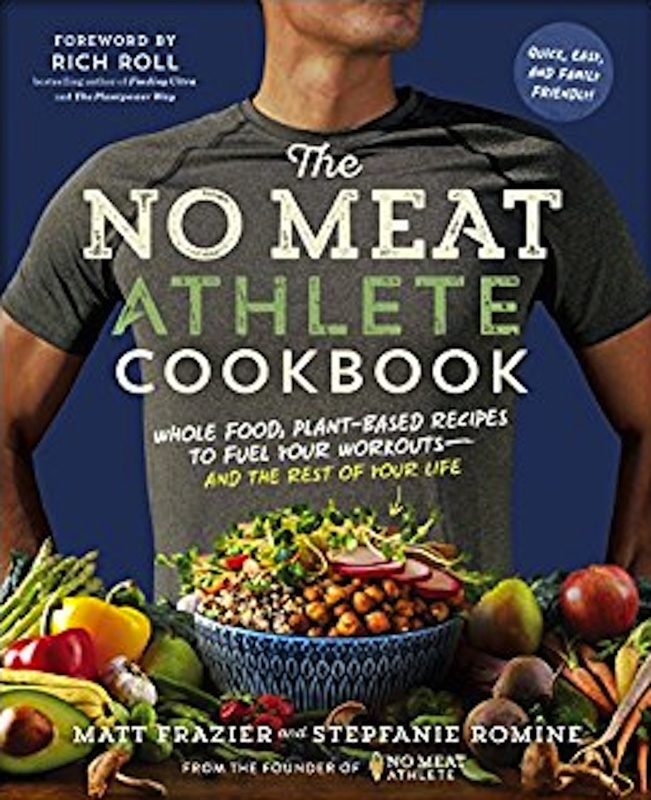 Former ultra endurance runner Matt Frazier teamed up with plant-based chef Stepfanie Romine to provide busy families and athletes with the ultimate vegan meal prep guide. All the recipes are focused on whole foods to fuel grueling workouts and sustain a happy, healthy lifestyle. In addition to the stellar recipes, the contents also include “blueprints” to teach one how to whip up a balanced meal with whatever is on hand. Learn how cook satisfying, hearty entrees like “The Lifesaving Bowl,” and “Sheet-Pan Meals.” With a smorgasbord of sauces and endless ingredient pairings, this book proves that healthy and basic is not equivalent to monotonous and bland. 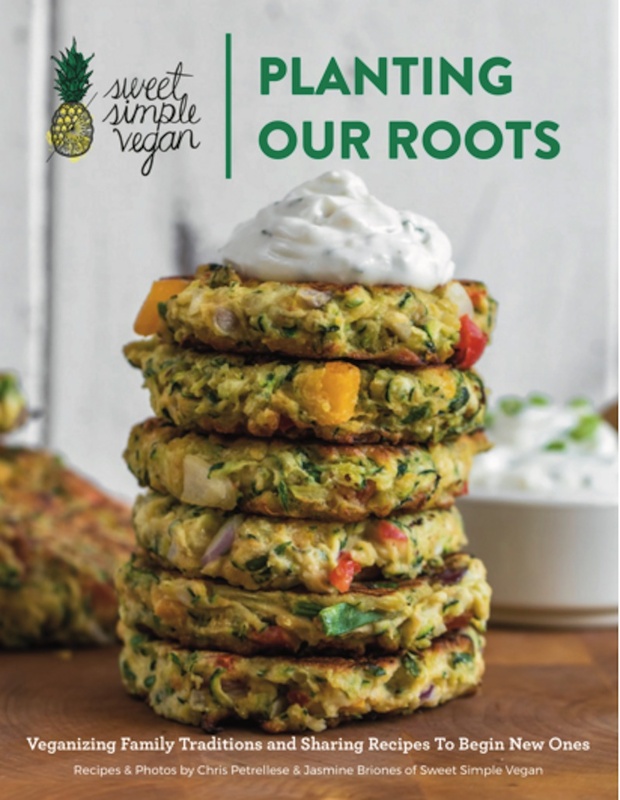 For the health-conscious flexitarian, this publication offers ten different eating ideologies, represented with recipes from the most celebrated chefs in that unique field. 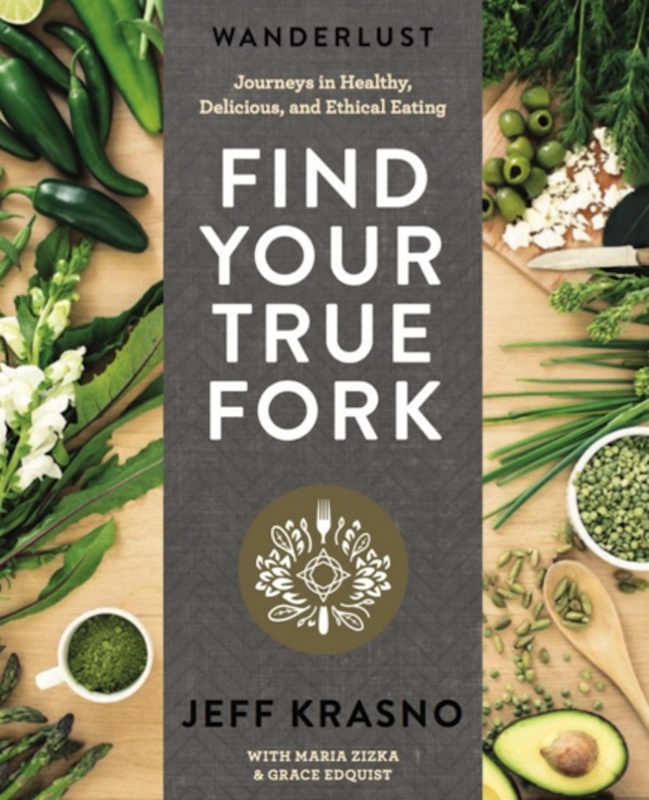 Part cookbook, part lifestyle guide, Wanderlust founder Jeff Krasno curated this compilation to help people find the diet that works best for them. Think paleo, vegan, raw, and ayurvedic, among others. While some chefs do incorporate animal products, the philosophies behind all of the diets center around local, sustainable, and mostly plant-based eating. For a holiday entree, we suggest Guy Turland’s Stuffed Whole Butternut Squash. We also adored Matthew Kenney’s simple raw vegan Milk Chocolate Pudding, Jason Wrobel’s vegan Cream of Mushroom Soup, and Meredith Klein’s basic homemade Almond Milk. 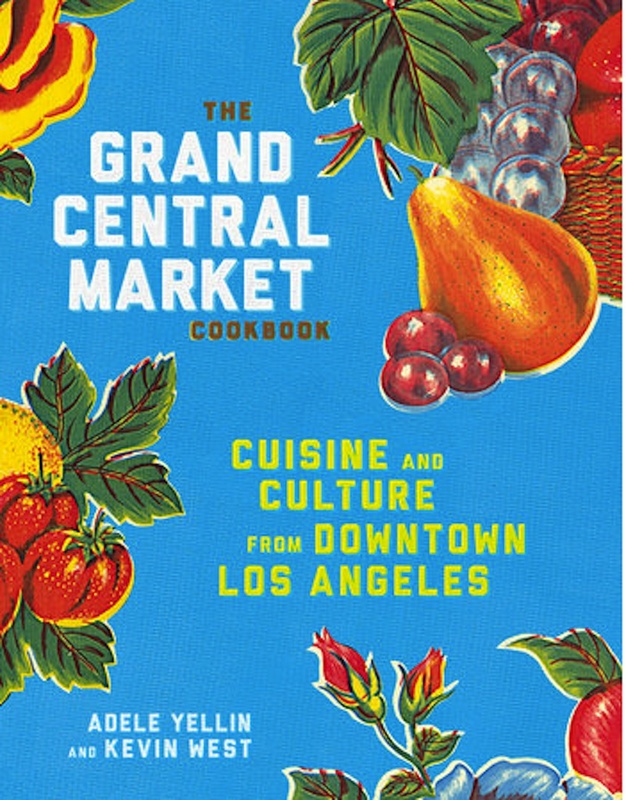 For the local history buff and adventurous foodie, the Grand Central Market Cookbook compiles the best recipes from this iconic Los Angeles food hall. The pages are packed with historic photographs from the market’s early beginnings, tied to stories from the food stalls’ owners as to how their business came to be. The recipes are adapted to suit the limitations of a home kitchen, and although not completely vegan, many dishes are vegan or easily adapted. From the health-boosting Press Brothers Juicery V-9 Juice to the slightly more sinful Golden Road Brewing Artichoke Hot “Wings,” there is a recipe for every taste, lifestyle, and ability. Enjoy this as a fun read, or save a trip (and parking fees) to Downtown Los Angeles by cooking these craveable dishes at home. 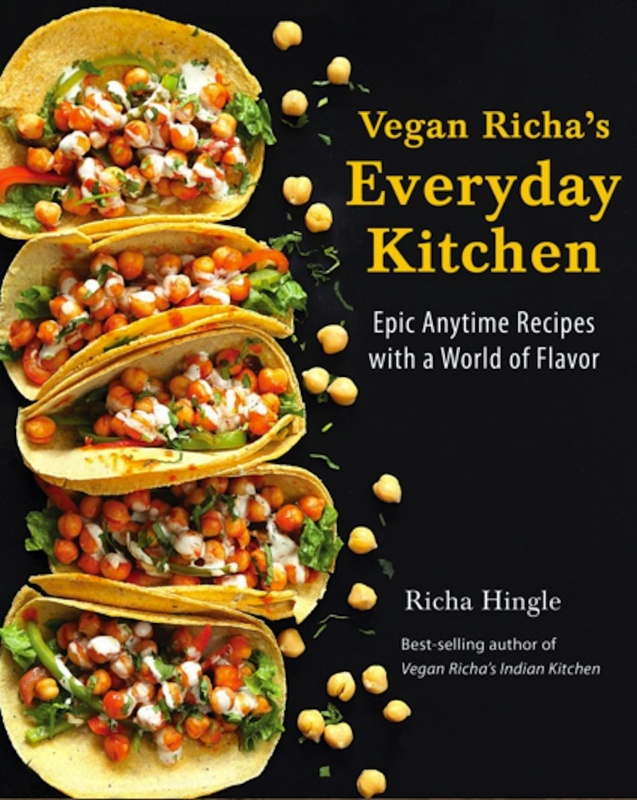 From traditional Indian dishes to comforting classics, blogger-turned-cookbook-author Richa Hingle veganizes these popular recipes to please both her culturally traditional and plant-based audiences. This book is for that special someone with an overflowing spice rack, as many of the Indian dishes rely on a handful of spices to create depth and flavor. It is not for the Trader Joes shopper who prefers to buy ready-made staples; Hingle believes in homemade sauces and basics, and she provides an entire section on “Awesome Sauces” that store brands just cannot replicate. For those who enjoy cooking, this book is all they need to create Indian-inspired stews and entrees, beautiful bowls, creative burgers, tempting desserts, and even classic deep dish pizza.